SkillsLink Training, the vocational training arm of Mid North Coast Community College, offers quality vocational education and training to the Manning, Hastings, Macleay & Nambucca Valley and Coffs Harbour communities. Our general and vocational courses reflect the needs of local individuals, community groups and businesses. Mid North COast Community College offers an integrated approach to education and training and is open to all members of the community. In addition to SkillsLink the college provides general education opportunities designed for personal enrichment including literacy assistance and our outreach offers youth programs, programs for people with disabilities and mental health challenges as well as the provision of a meeting place for a cross section of local groups. Our identity and acceptance as the local adult and community education provider has developed over many years from the establishment of the Hastings College of Adult Education in 1984 which offered the first local community courses. The College is independent, and most importantly, community owned. In 2019 the time has come to celebrate serving the wider mid north coast; Taree, Port Macquarie, Wauchope, Kempsey, Nambucca and Coffs. Over the past three years we have expanded our physical campus network while maintaining our use of local venues in a range of towns throughout the region. Our new umbrella name will become the Mid North Coast Community College Ltd from 2019, however we will retain our family of different sub-brands providing services to different audiences. 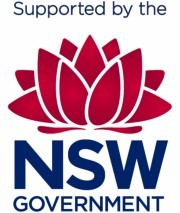 We are governed locally by a voluntary Management Committee under the Constitution of Mid North Coast Community College Ltd. We receive support from the New South Wales government through the Department Industry and are accountable to the Government and the community we serve. Our college offers a diverse range of short courses for skill development, personal enrichment and pathways to higher education as well as accredited qualifications and Statements of Attainment. Offering flexibility, quality learning and personal service, we can design, develop and deliver training to suit the needs of business and individuals. As a Registered Training Organisation (RTO 90315) we issue nationally recognised qualifications for our accredited training program.